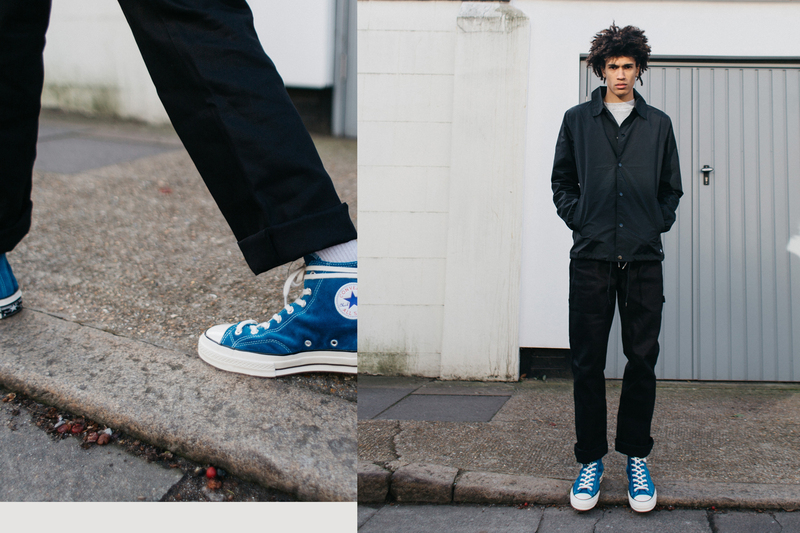 Converse has long been associated with youth. 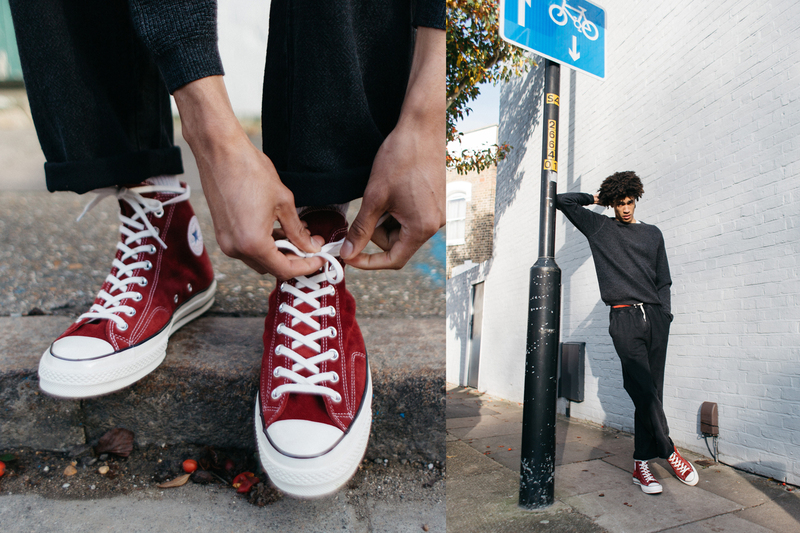 Whether it’s through music, fashion, sub-cultures, or even its roots in basketball, the brand and more specifically the Chuck Taylor All Star has managed to be one of those things you just grow up with. These days, I can’t really see a point in life where they wouldn’t be a good choice, especially with the Chuck 70 on the table. 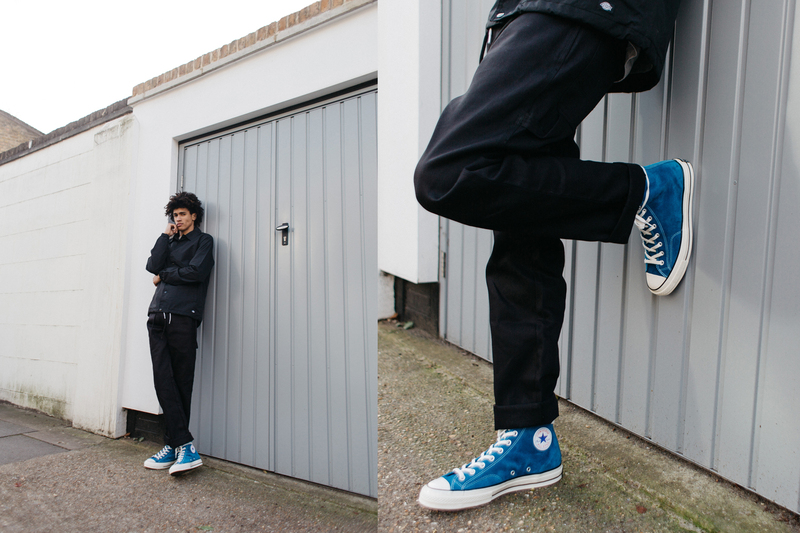 Premium materials, coupled with some refinements and tweaks such as additional stitching on the sidewall, raised foxing, a shorter and more rounded toe cap, nicer laces and 1970s branding on the heel make the Chuck 70 a strong favourite among many Converse fans, myself included. 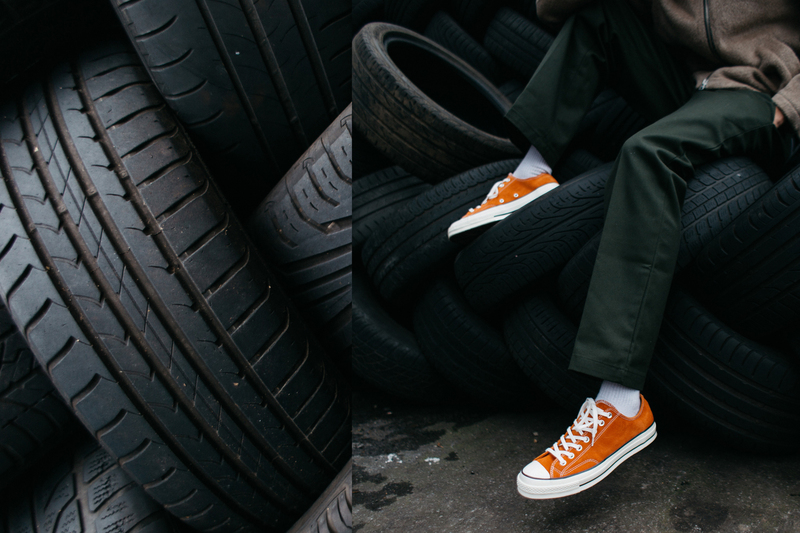 In all honesty, they’re hands down a elevation on the iconic Chuck, especially with the bonus of premium cushioning on the insoles. I could wax lyrical about the Chuck 70 for a long time, so I won’t. 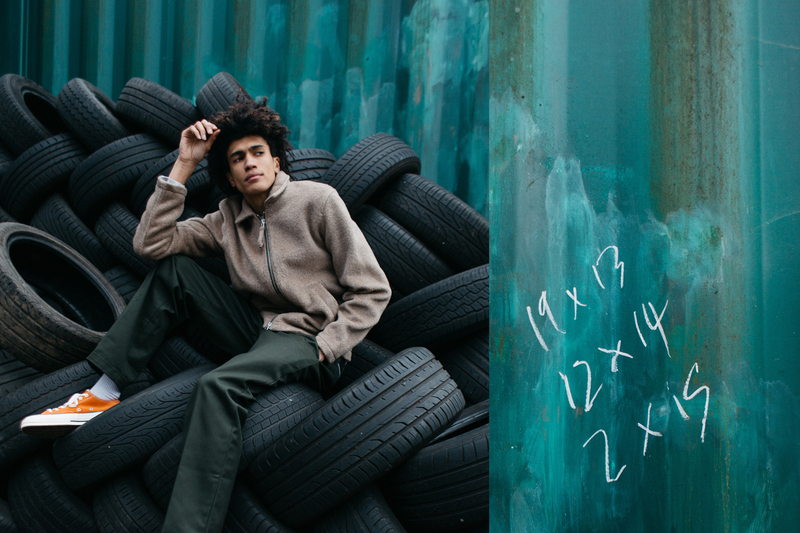 All you need to know is that it’s back, this time it’s suede, and it’s available at size? starting at £70. Now I’ve stopped praising the sneaker, back to the subject at hand. 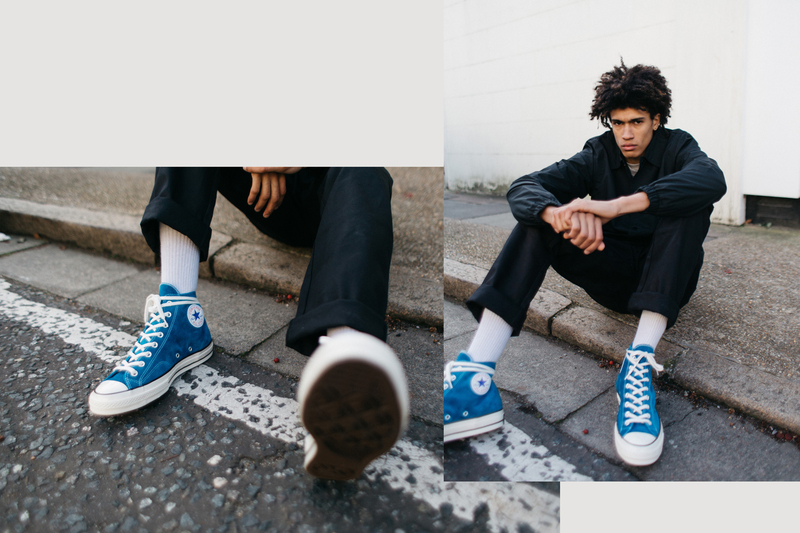 Currently, Converse are enjoying a strong resurgence in youth culture, especially in London, mainly thanks to their recent popularity in skateboarding. It’s a style that’s already being echoed well outside of skate culture and for good reason. 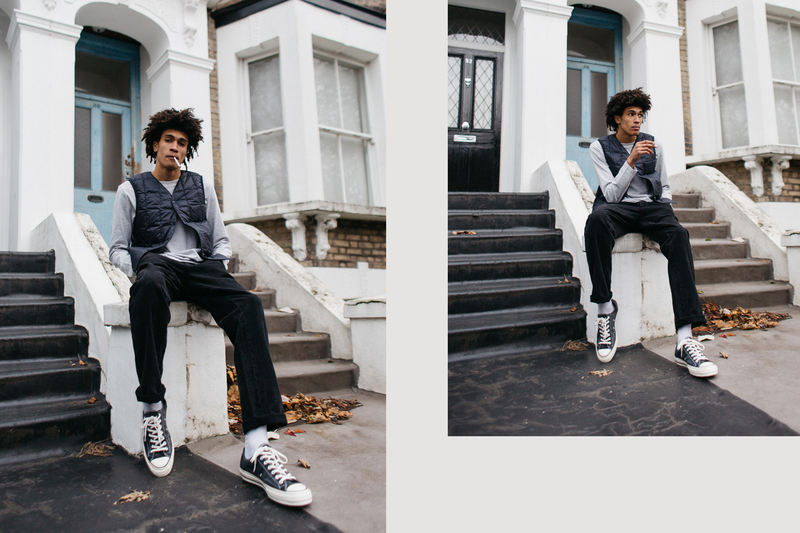 With that in mind, we teamed up with two of our favourite – and enviably young – creative talents from London, photographer Vicky Grout and stylist Charlotte Graham-Moss, giving them some Chuck 70 suedes and asking them to do what they do best. Bringing the duo together for the first time, our brief was simple – do whatever you want. 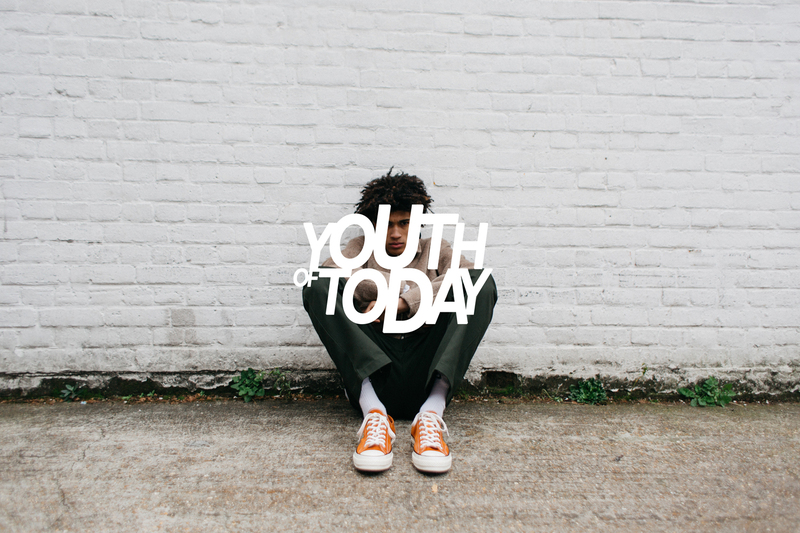 The result is a raw and honest look at the current mood and aesthetic of London’s youth. That rebellious approach to style that our city is known for the world over, especially the youngsters, wearing whatever takes their fancy, regardless of where that brand wants to position itself in the market or who their target audience is. 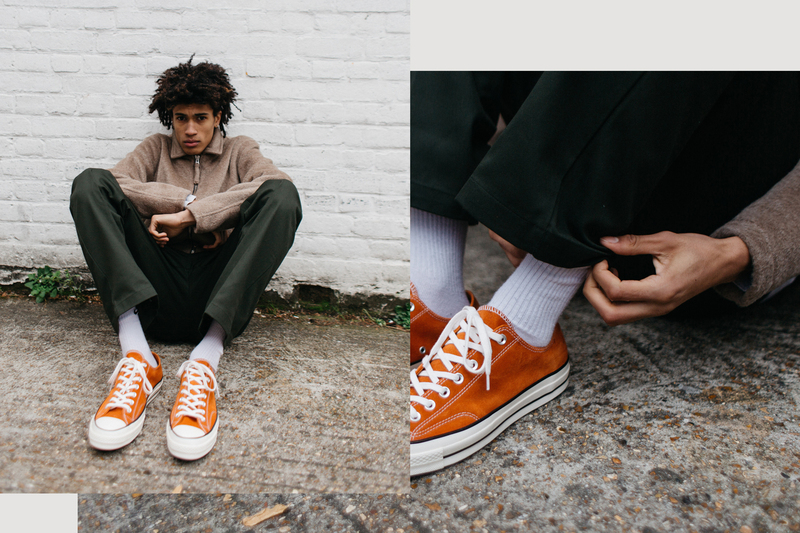 With Charlotte pulling from the likes of Norse Projects, Dickies, Our Legacy, Uniqlo, Champion, and of course Converse, the styling is a perfect mix of sportswear, menswear and high street brands, styled in that casual look that you see in the right spots of London at the moment. 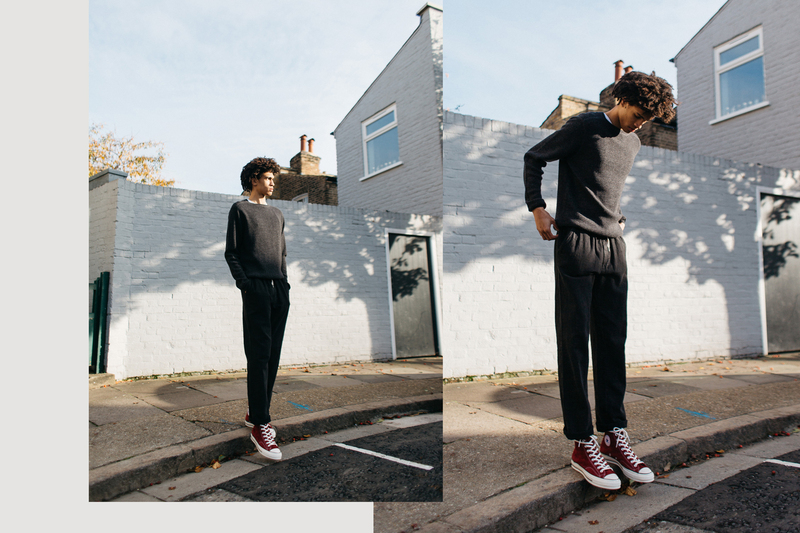 Shot in East Dulwich, the direction takes inspiration from the carefree lack of responsibility and the effortless style of the youth of today, not so much on purpose, but more so because that’s who it was created by.